DISCOLUX CERVICAL PLDD: Minimally Invasive Laser Treatment of Cervical Hernia. 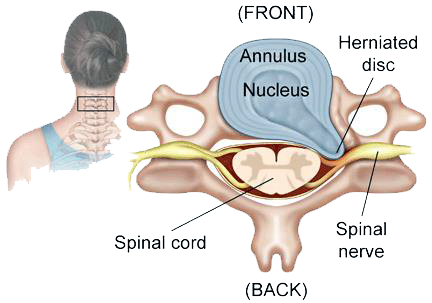 Cervical Herniated Disc, like the lumbar ones, is caused by a degenerative process on the disc / vertebral complex. 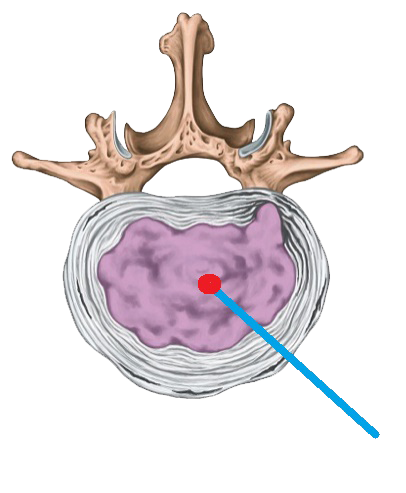 The intervertebral disc is a fibrocartilaginous junction composed of a high percentage of water; connects two adjacent vertebrae and acts as a shock absorber for the spine; Its outer lining, the annulus fibrosus, is intended to contain and protect the nucleus pulposus contained within it. 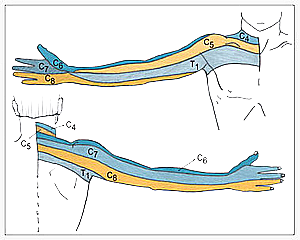 When the annulus fibers begin to break, the nucleus pulposus moves toward these interruptions and the disc shifts from its anatomical position. The bulging of the disc or the possible hernia migration can compress the nervous root, the spinal cord, or both, causing pain, sensitivity disorders, and Motor Dysfunction of arms or hands. 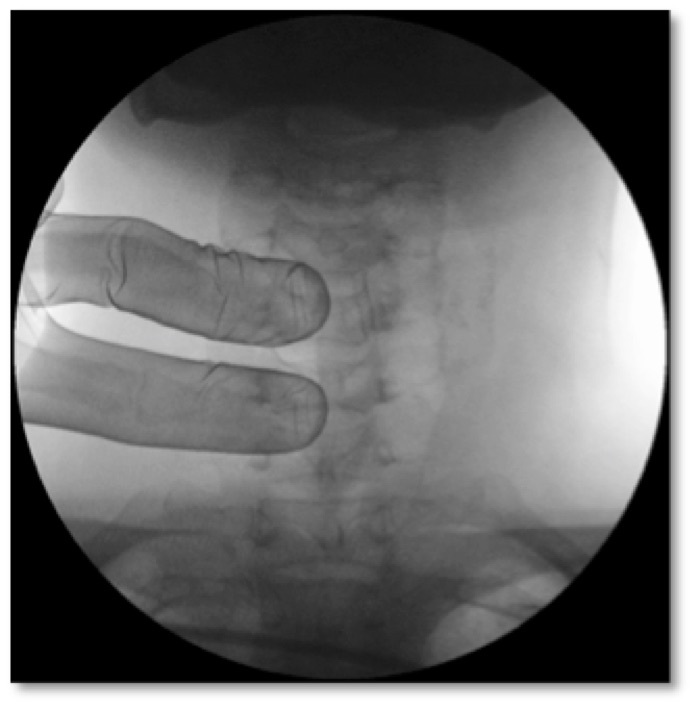 The disc herniation can occur in varying degrees and types, depending on the mode of nucleus pulposus displacement, resulting in a variation of the symptoms and a different severity of the problem. Disc hernia is classified according to the disc herniation degree. • Degeneration: intervertebral disc aging, resulting in disc thickness loss and subsequent alteration of its basic biomechanical properties. 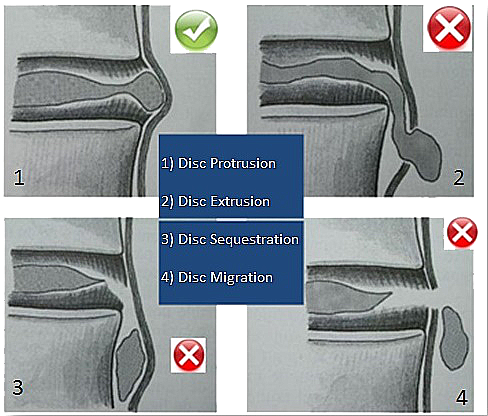 • Protrusion: the disc loses its original consistency and its ability to amortize the loads of the vertebrae: deforming, it protrude, invading wrong spaces, for example by touching the nerve roots, but remains contained in the fibrous annulus. 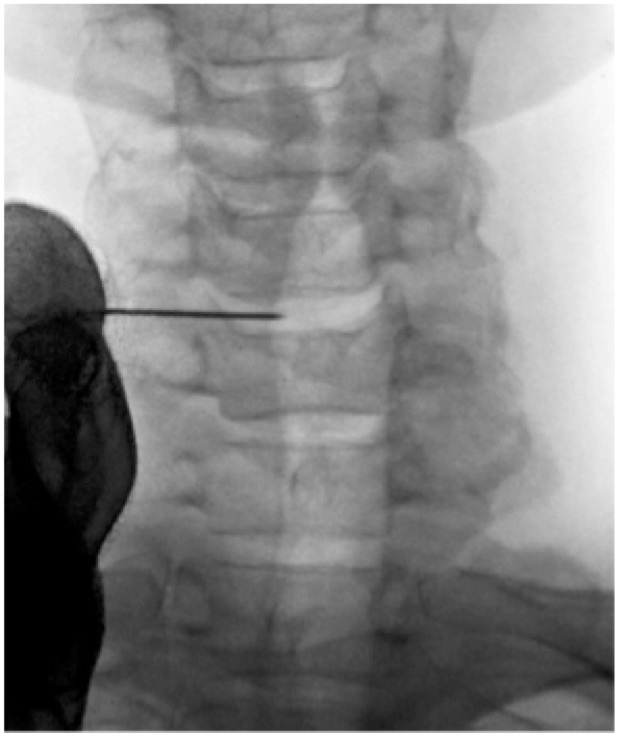 • Extrusion: the nucleus pulposus comes out by piercing also the longitudinal back ligament. • Sequestration: part of the herniated disc material is completely expelled and loses continuity with the nucleus pulposus; Sequestrated disc, corresponds to extruded disc material that has no continuity with the parent disc and is displaced away from the site of extrusion. o Median: The hernia is located at the rear along the median line. o Paramedian: The hernia is located at the rear not far from the median line. o Lateral: The hernia is located at the rear, considerably distant from the median line. o Intraforaminal: these herniations affect the intervertebral foramen, the nerve root is not only compressed and dislocated, as in the most common paramedian hernia, but also crushed against the vertebrae peduncle above and / or against the interapofisarias joint. 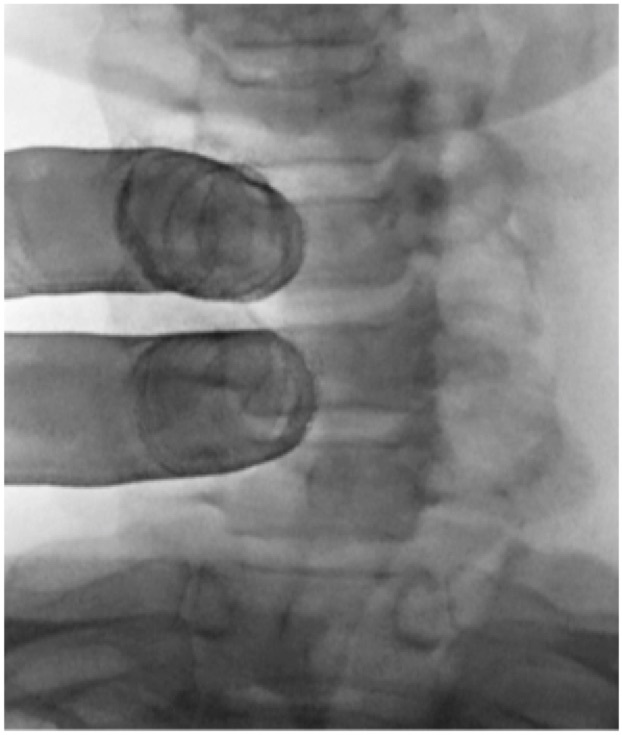 o Extraforaminal: these herniations does not affect the intervertebral foramen, but compresses the outer part of the nerve root at the exit level from the intervertebral foramen, or affects the overlying root if it is lateral. Symptoms of a cervical hernia are many, ranging from asymptomatic hernia to paralysis. Symptomatic hernias, on the other hand, cause symptoms that depends on the site of nuclear material leakage and hence from the hernia compressed structures, especially the nerve roots. 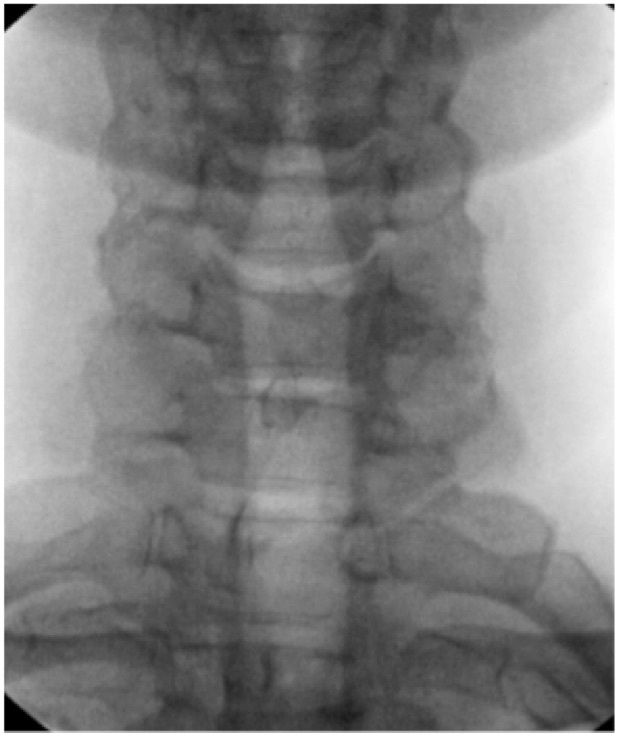 If the diagnosis is suspected disc herniation, the first required examinations are radiographs and magnetic resonance imaging of the cervical spine. Physical examination can also help in diagnosis, assessing pain, the state of reflexes, sensitivity, strength, and muscle trophism; Based on these diagnoses you can understand which root of the cervical tract is involved. Percutaneous Mini Invasive Cervical Hernia Laser Treatment. Discolux® Eutermic Laser: - System for cervical hernias disc decompression at biological temperature. 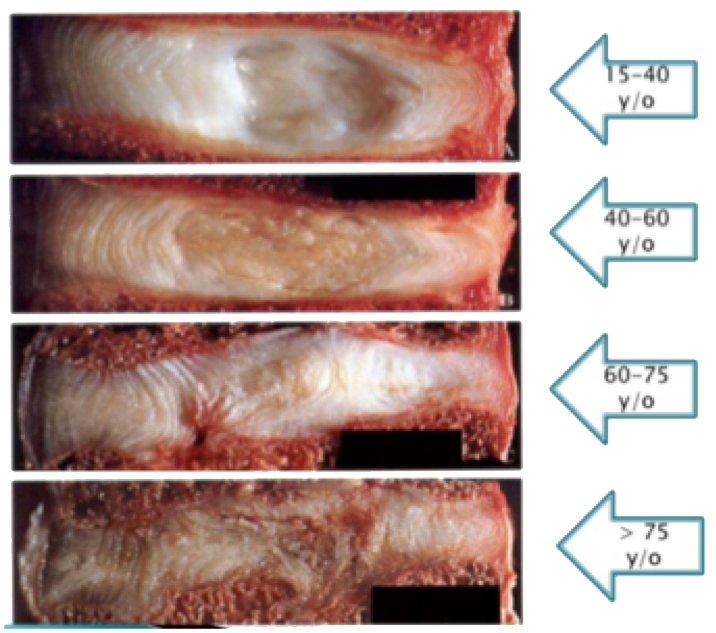 With the Discolux® Ho:YAG Euthermic Laser technique, the amount of delivered energy is considerably low, thus obtaining decompression of the intervertebral disc through nucleus gel destruction and colliquation, and not through the vaporization of nuclear gel. This technique allows to maintain the integrity of pulposus nucleus fibroblasts, thus giving the pulposus nucleus the possibility to restore physiologically. 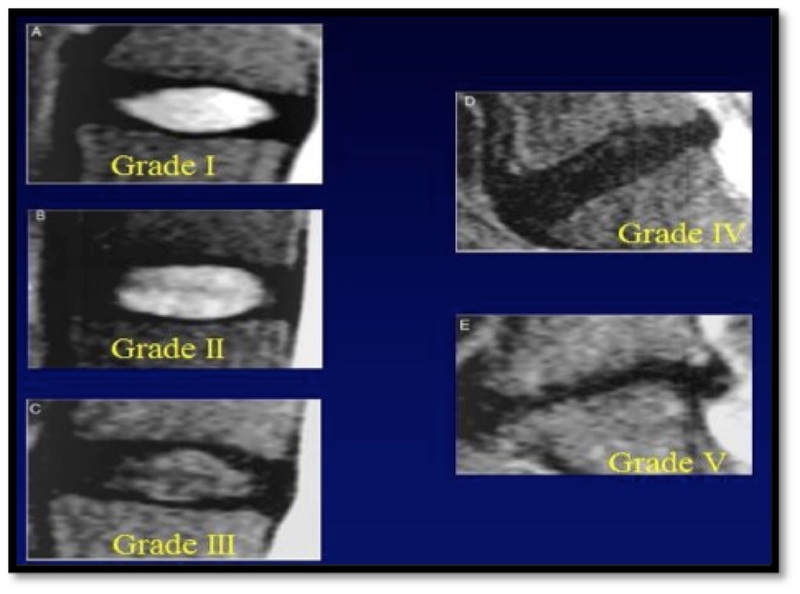 The Ho:YAG Discolux® Laser therefore involves liquefaction rather than vaporization of the nucleus pulposus, in order to remove part of it to free space and favor resorption of the disk. This makes it possible to perform nucleolysis at much lower temperature (45°C) than the one required for the vaporization of the nucleus (100°C). - Versatility, to adapt the laser treatment to the actual needs, still maintaining safety and great efficacy. 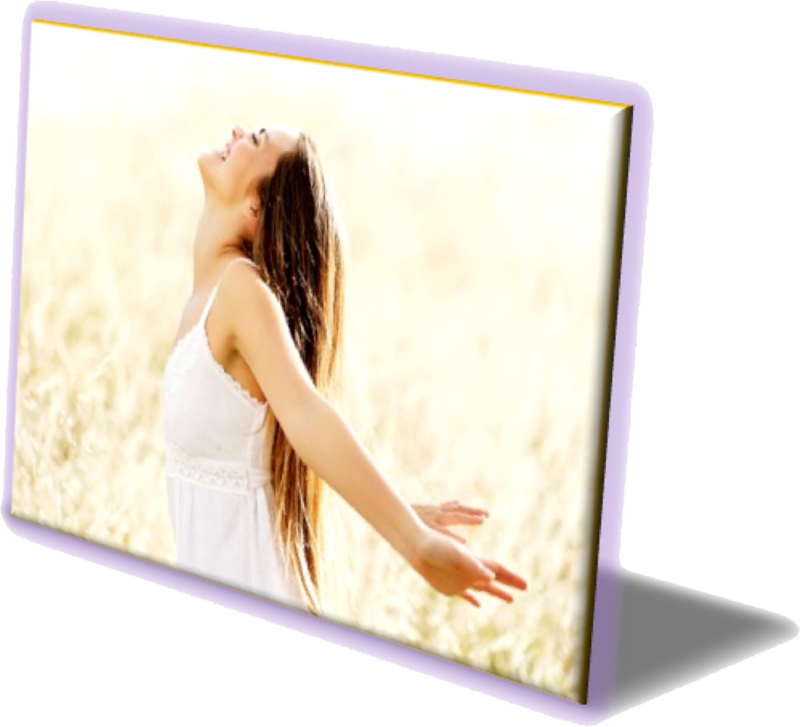 The laser treatment is divided into 3 cyclesof 1 minute each, with 15 second rest time in between cycles. Low total energy (270 J in 3 minutes of total delivered energy). Thermographies during 980nm diode laser emission. NESSUN RISCHIO DI DANNO TERMICO. 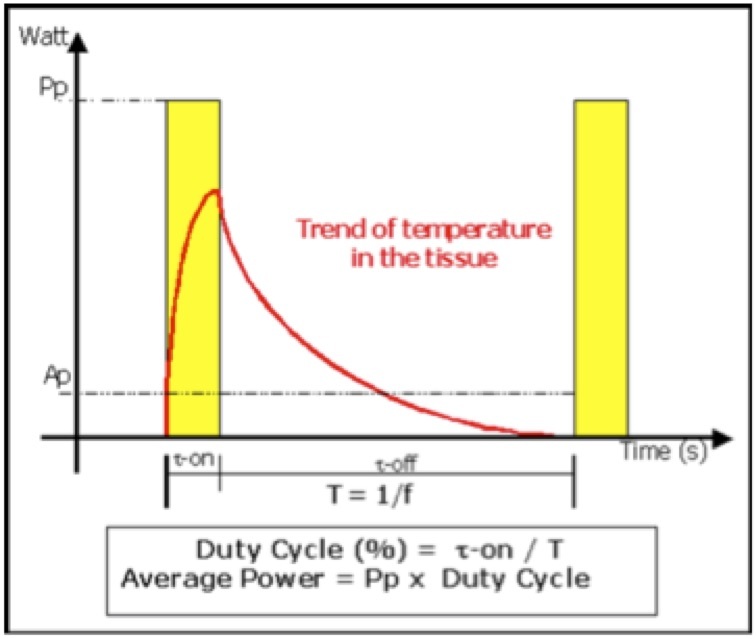 The picture shows the pulse cycle of the Discolux® laser. 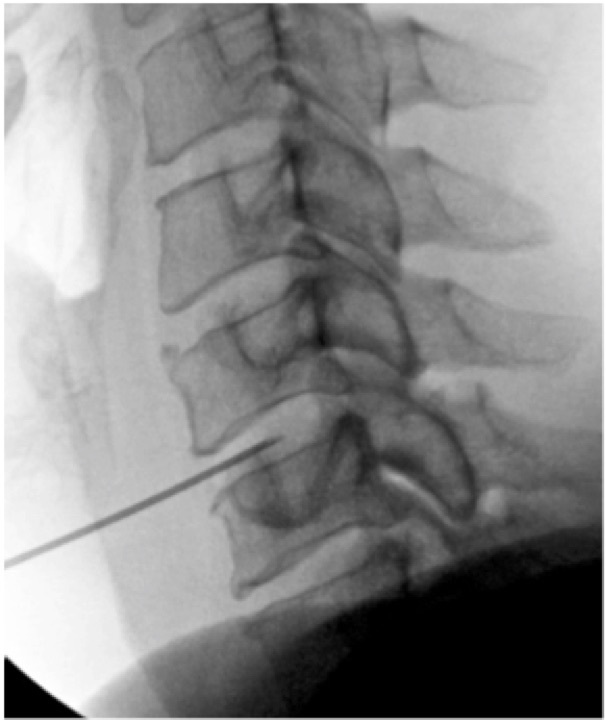 Percutaneous disc decompression using Discolux® laser system, is indicated in patients with a low degree of protrusion of grade I and II in the cervical tract discs. - The instrument is not suitable to treat patients with presence of column damages, infections, tumors, severe infirmity, status of pregnancy. - The instrument is not suitable to treat patients with bone fragments, severe bone stenosis. 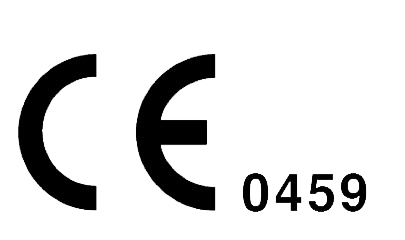 - The instrument is not suitable to treat patients with severe neurological deficit. 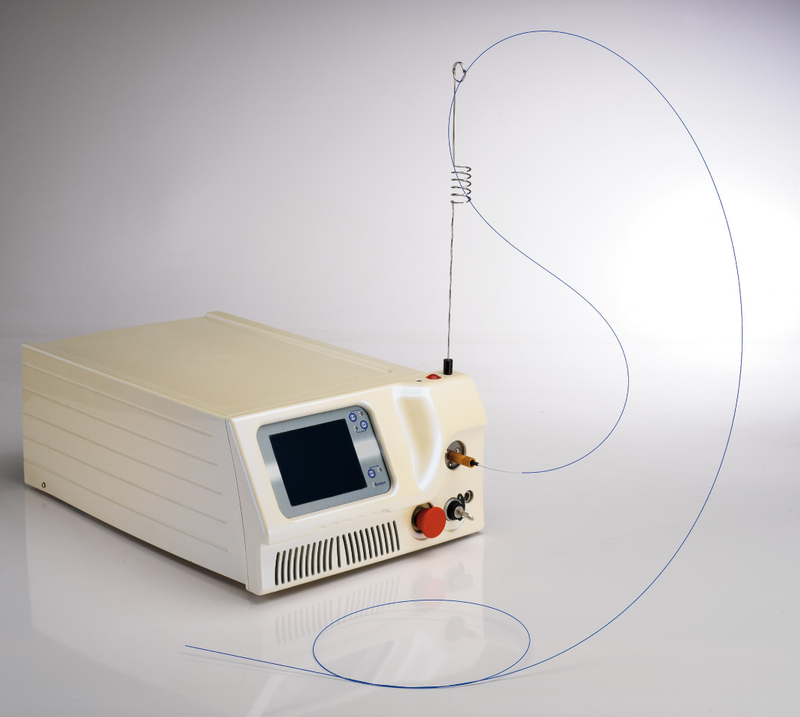 • 1 optical fiber to connect to the Discolux® laser, only. • 1 fiber block to fix the distal part of the optical fiber to the access needle. 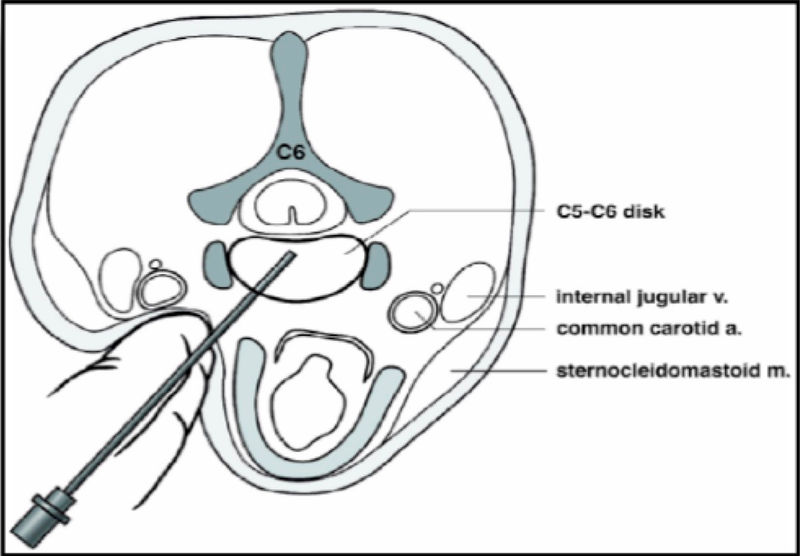 With the supine patient, once located the disc to be treated, access frontally to the pulposus nucleus through the CBL 20/11 insert needle. 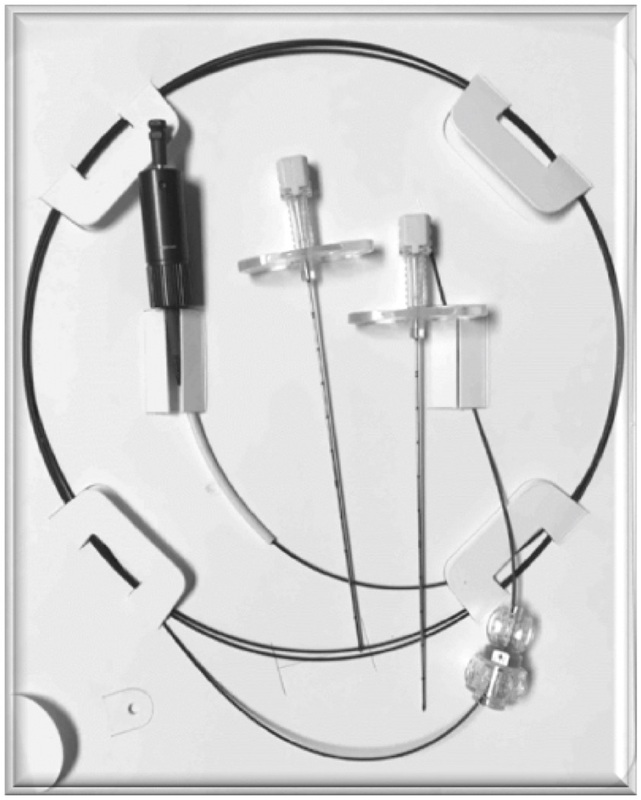 Once the appropriate point is reached inside the disc, insert the optical fiber into the needle and connect it to the Discolux® laser system. Each phase consists of 1 minute (60 Seconds) continuous laser output with a power of 1.5 W, followed by 15 seconds of rest. 60 sec. 15 sec. 60 sec. 15 sec. 60 sec. 15 sec. The total energy delivered will be 270 J in 3 minutes, reaching the REDUCTION OF INTRADISCAL PRESSURE. 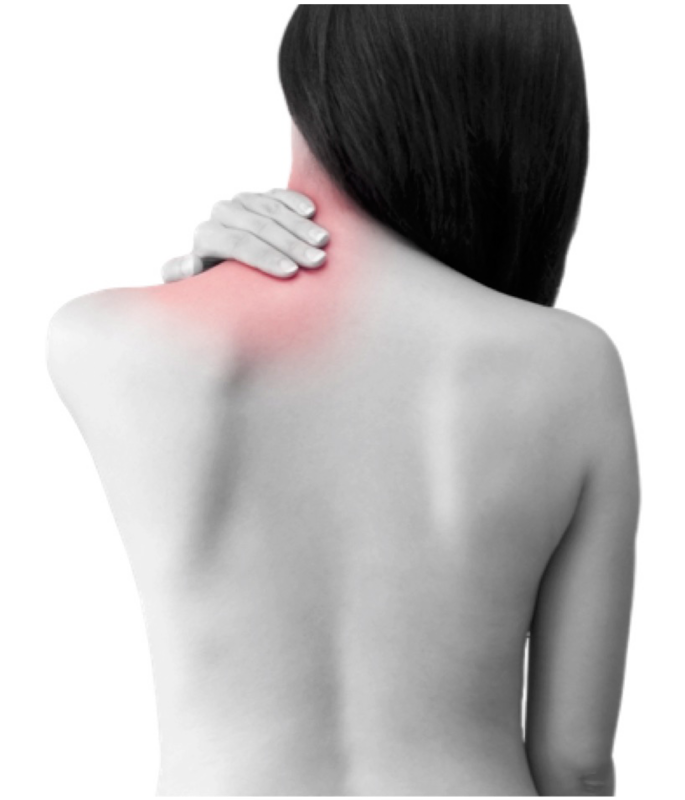 At the end of the 4-minute Discolux laser treatment, the patient will be immediately relieved of the pain and, thanks to minimal invasiveness of the intervention, will find a feeling of instantaneous well-being. Fenton DS, Czervionke LF. Discography. 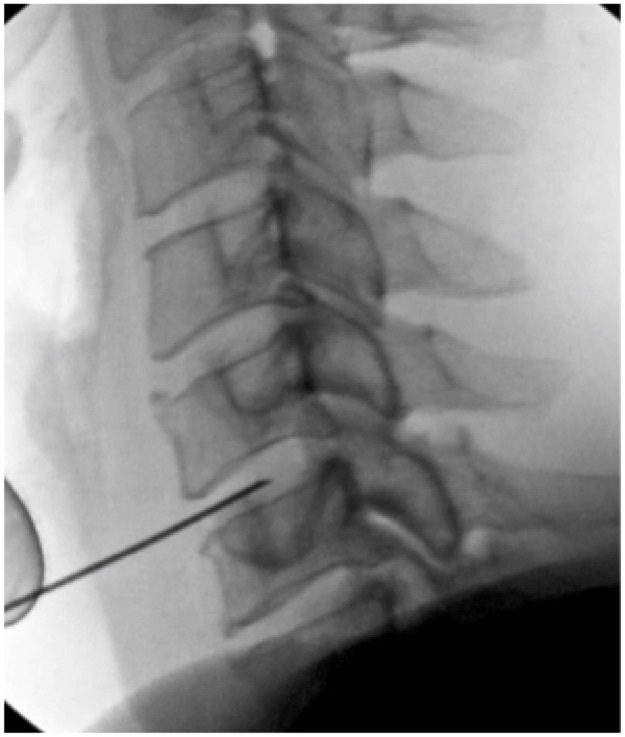 In: Handbook of diagnostic and therapeutic spine procedures. A.L. Williams and F.R. Murtagh, Editors. St Louis: CV Mosby, 2002: 167-199. Eckel, TS. Intradiscal electrothermal therapy. 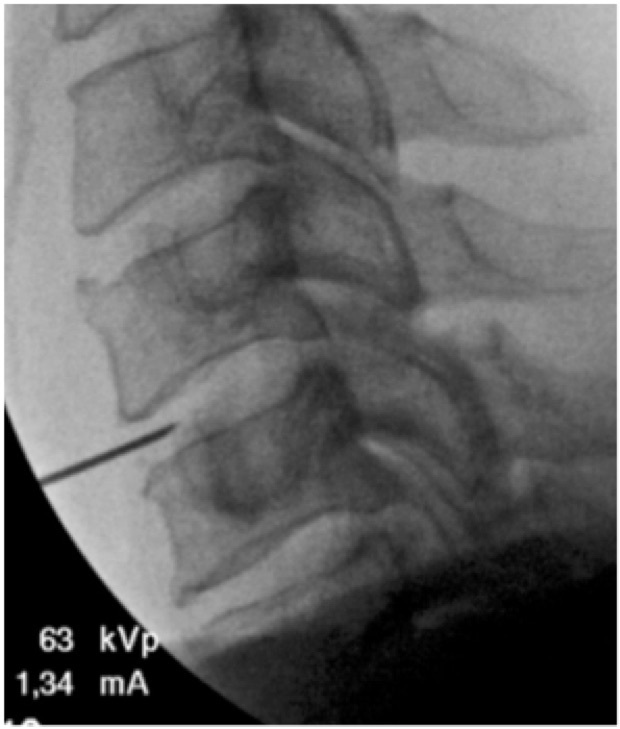 In: Handbook of diagnostic and therapeutic spine procedures. A.L. Williams and F.R. Murtagh, Editors. St Louis: CV Mosby, 2002: 229-244.